The Egyptian mummy lies silent and elegant under the glass case. Standing there in the cool de-humidified air, I’m aware of experiencing something very extraordinary. It is my first morning in Santiago de Cuba, second capital of Cuba, city of revolution. I expected many things before my arrival in Cuba. An Egyptian mummy was not on the list. Cuba is an enigma. 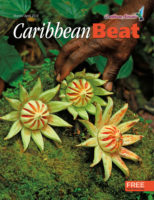 It seemed odd that as a Caribbean person, I would not know this place. 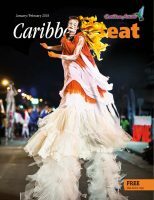 The largest island in the Caribbean, with a colonial past dating back to the late fifteenth century — there is much history here that speaks to the rest of the region. It’s hard to get a sense of a place from its airport, but there was something eerily Eastern European about the immigration hall in Havana. Efficient and polite immigration officers, almost all female and young, greeted us. They were, rather incongruously, kitted out in high heels and fishnet stockings, which I later learned is de rigeur for the highly formal attire often worn at state functions. 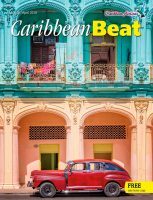 It was the first of many small fractures between what I thought I knew of Cuba, and what the country and the people revealed. We are travelling with a large group (some forty-odd), and in Havana airport we split somewhat nervously. A smaller group of us are making this two-day visit to Santiago. We are under the expert eye of our tour guide Ivan, who has been working assiduously on this trip for months. Every detail has been planned with the local operating company who will accompany us as we make our way across the country. After Santiago, we will return to Havana, then on to Trinidad and Santa Clara. 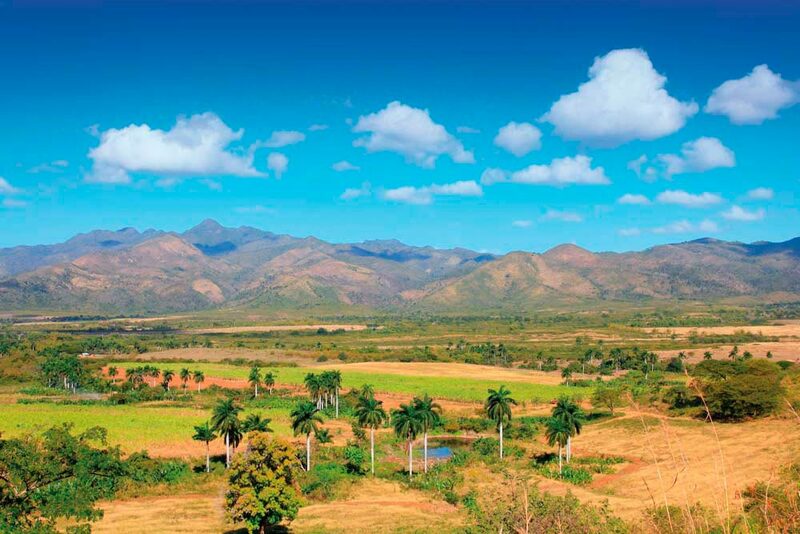 To get from Havana to Santiago de Cuba involves flying south across the country. On the short shuttle ride from the international to the domestic terminal, I get my first glimpse of the famous old cars. Vintage and perfect, they stream by the airport, holding the road as if this were an ordinary day in 1962. This physical sensation of going back in time will pass in a day or two, but for now I am transfixed by the cars and the red payphone on the wall of the departure terminal. A woman walks up, slots her money in, and makes a call. What looks like a brand new Antonov An-148 sits on the runway waiting for us to board: Cubana Airlines flight CU986. The sight of the sturdy, chubby plane is reassuring, and, sure enough, the plane is wide and comfortable, with roomy seats and no business class. By the time we touch down in Santiago, it is night and we are tired. The state bus is large, cutting corners tighter and tighter as we head into the centre of the city, the cobblestone roads seeming better equipped for horses than cars. Our hosts have come out into the street to greet us. In front of the bus, spotlit by the headlights, is a group of dancing girls. Flash-mob-style, I think at first, then I realise they are practicing a dance routine to music pouring from a 1980 boom box. This is not just for us, after all. It is apparently such an ordinary sight that no one else gives them a second glance. Older women sit on the stoops of their casas and smoke or fold laundry under the yellow streetlights while the girls dance. The youngest must be four or five. But they all fall into line at the clap of a hand and a twist of the wrist in the air to signal — again! And they start to the strains of what sounds like son, the mother of salsa. Later in the week, I will learn that son always requires dancing on the offbeat. I don’t know this now, however. I am simply transfixed by an inside view of the Friday night entertainment of young girls between the ages of four and fifteen as they move together. So this is Friday night in the lower regions of downtown Santiago. The next day starts very early, with the rumble of the bus outside the main casa particular (a Cuban home that provides accommodation for turistas). The rest of our group are going on a safari mountain drive, culminating with a hike into the Sierra Maestra Mountains to Comandancia de la Plata (the revolution-era command headquarters of Che and Fidel). Departure time: 4.30 am. But not us — we have chosen to spend the day exploring the city of revolution. I want to see it all. Breakfast at the casa particular is a special treat. The hosts rise early to prepare elaborate plates of fruit (guavas almost as large as my hand, sliced in deep pink rings), soursop juice, and tiny pancakes. This is my experience in all the casas we stay in throughout the island. The fare varies, but the quality is always excellent. But on this first morning, I know nothing of the feast in store. My husband, whom I have sent on a recon mission, returns with a peculiar expression on his face. There’s not much you can say to that. On the roof, our table for two is beautifully laid. And so we eat our first breakfast in Cuba accompanied by a cool wind with a hint of Christmas and a couple twirling and whirling to early morning salsa. Santiago is very different to Havana. Climatically, it is a much hotter city. 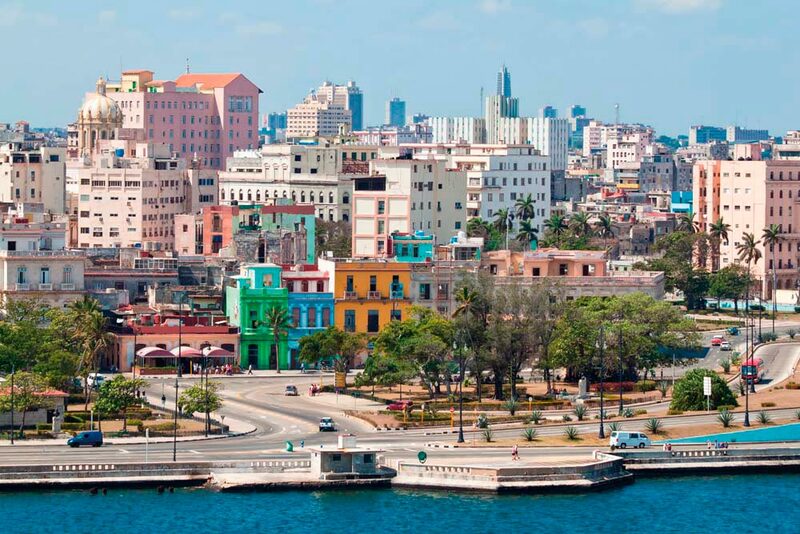 Known for its Afro-Caribbean cultural influences, the city is closer to Haiti than it is to Havana. 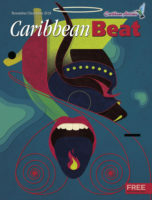 After the Haitian Revolution, there was a significant influx of Haitians who, bringing their music and their customs with them to their new home, have shaped Santiago’s music and cultural heritage. In a way, it feels more like the Caribbean I know: hot, bustling, chattering. It’s known as the city of revolution because the success of the rebels was first declared here: On 1 January, 1959, an exultant Fidel Castro shouted Viva la Revolución from a balcony in Santiago de Cuba’s city hall. This was also the hometown of Don Facundo Bacardi, of Bacardi rum fame. His son Emilio Bacardi, despite being a wealthy businessman and prominent member of society, was a rebel supporter in the ongoing fight for liberation from the Spanish. He was often detained by the authorities and even imprisoned in the city fortress. After the Spanish-American War, Santiago’s American military governor, General Leonard Wolf, appointed Bacardi mayor of Santiago de Cuba. Bacardi and his wife Elvira Cape founded the Emilio Bacardi Moreau Museum in 1899. It is here that I see the Egyptian mummy belonging to the Pharaonic Dynasty of the eighteenth century BC, which Bacardi purchased while on a world tour in 1912. It is situated in the Archeology Room on the ground floor. This fascinating room also contains specimens of aboriginal cultural objects as well as two (rather disturbing) mummies of the Paracas del Peru culture. As if the day could not get any more extraordinary, we next visit the Santa Ifegenia Cemetery, famous for its beautiful marble and granite vaults. 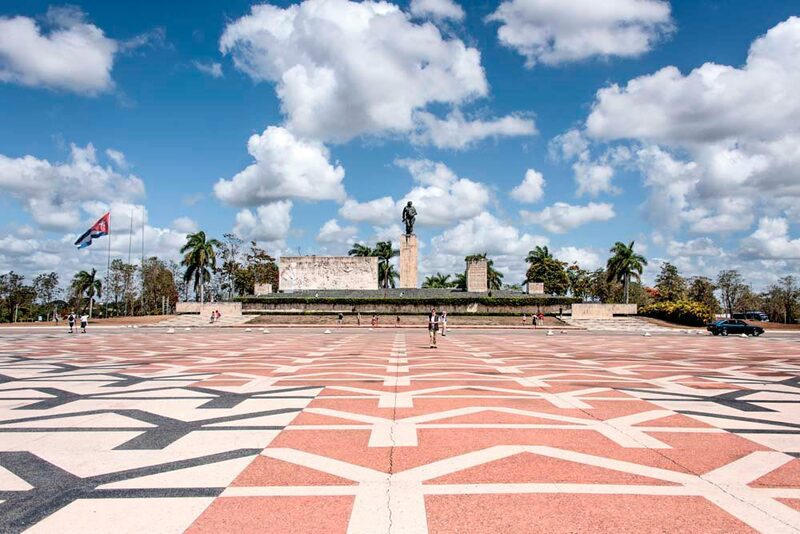 Here we witness the changing of the guards at Cuban hero José Martí’s eighty-foot-high mausoleum. All day, every day, two guards stand at attention at the entrance of the imposing structure, attired in full military uniform. Every thirty minutes, from 6 am to 6 pm, the guards change shift in an operation conducted with great formality. Promptly on the half hour, piped military music is broadcast and the guards begin their slow goosestep, legs raising high in time to the music, passing their batons over with gloved hands. It is a sobering sight to witness the rituals and reverence so necessary for nationalism. 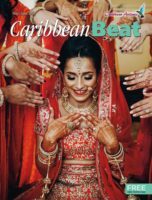 And it is even more sobering to realise I have seen the like nowhere else in the Caribbean, our region of islands where nationalism is often fragmented by opposing lenses. The section for fallen heroes who have lost their lives in battle in the Angolan war is also a reminder. The Cubans honour their heroes and they honour their dead. They do not forget. While we stand looking out from one of the upper decks, the men below us are cleaning an eighteenth-century cannon. Soon they pack it with gunpowder. There is much talking and gesticulating and we gather that this is not a common occurrence. They are testing the cannon. We are lucky to see this. We watch as they load the cannon and light the fuse. It’s remarkable to think we are witnessing something that would once have been part of the daily routine of the fort. When the cannon fires, it is deafening and thrilling: easy to imagine the adrenaline of war. After Santiago, we fly north back to Havana, to beautiful buildings and wide streets that remind me of another time, when this city was the Paris of the Caribbean. Several buildings are being meticulously restored by the Department of Restoration, and there is music on every corner. There are good restaurants, and in each one the musicians are better than the last. A must-visit in Havana is the large craft market, with its dizzying array of art. We stay in Havana Vieja with its wonderful old buildings, where we drink lots of mojitos and toast to Hemingway. Cuba is a big island. We spend a lot of time travelling on the large state buses from one location to another. En route to the city of Trinidad, I read and look out on the land. People make their way by the roadside. Many are on horseback or in horse-drawn carts. I look at the houses and try to imagine their lives. Trinidad is a charming colonial town not unlike others I have seen in South America. Here, they boast, the most beautiful crochet work can be found. We are here to see the Valle de los Ingenios — Valley of the Sugar Mills — a few miles outside the city. The San Luis, Santa Rosa, and Meyer estates were major sugar producers from the late eighteenth to the late nineteenth centuries. We travel there by way of an old railway through the beautiful, verdant land, while the travelling musician with us sings “Chan Chan”, the Cuban classic we’ve come to love. And then we are on our way to Santa Clara, the city of Che Guevara. Even though we arrive early from Trinidad, there is already a line snaking around the mausoleum that protects his remains. I am reading the memoirs of Che’s wife, and in the pages of the book, he is alive, laughing, a cigar ever-present. I am not sure I want to reconcile this image with the contents of the mausoleum, so I am not terribly sorry there is no time to go inside. 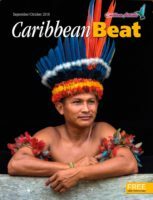 I will remember Santa Clara for Che, but also for the tobacco factory, where we are ushered in to see the predominantly women workers roll cigars while they listen to piped music or, occasionally, the words of a novel being read over the loudspeakers. They work eight hours a day, all week, and must each make somewhere between 170 and 250 cigars a day. I do not ask how much they are paid. When we arrive outside the heavily guarded window, the women rush to the barred windows calling to us — Venga, venga! Across the street, a shop catering to turistas sells cigars and coffee. The cigars are priced in CUCs, the parallel currency that is equivalent to the US dollar, unlike the peso, which is used only by locals. Certainly, in recent years the government is becoming more flexible. Since Raoul Castro took the reins, he has allowed Cubans to open small businesses. And there are flourishing restaurants everywhere. The introduction of the Internet in public parks in August 2015 will also impact on the society — it must. That, coupled with improved relations with the United States and the expected rush of American tourists, will change the Cuba I visited. Our young tour guides are all highly educated. Money is good in tourism. The driver who leads us (forty strong!) on a Havana tour in a procession of vintage cars is moonlighting. In his real job he is an ear, nose, and throat consultant. We meet people like this time and time again: highly educated professionals working second jobs in tourism. It is difficult to reconcile the wage disparities. 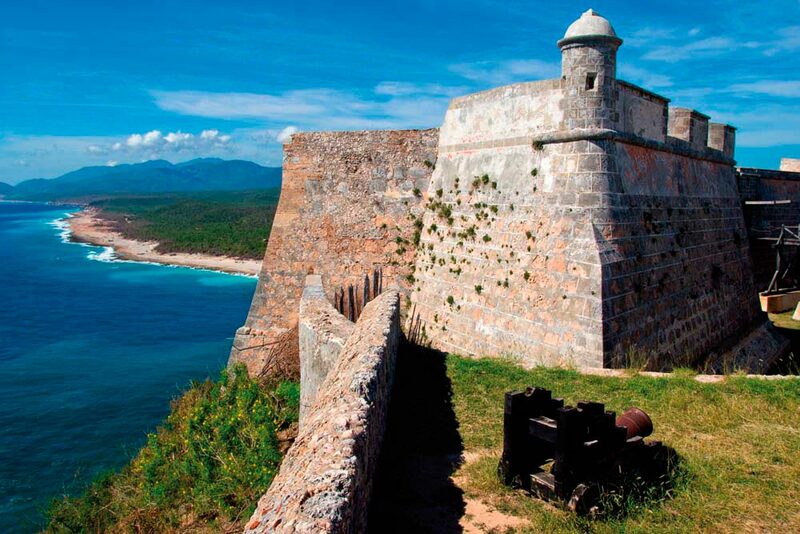 As in any foreign land, in Cuba you will visit monuments where history has been ruptured. But it is the people who will truly tell you about a place, and Cuba is no different. They reveal their country to you in all its beauty and contradictions. It’s easy to assume that personal freedom ensures happiness, but Cuba shows me a different face. With music, art, and education prioritised, wealth seems to be measured in different ways. This is not an attempt to romanticise Cuba. Could I live here? I am not sure. 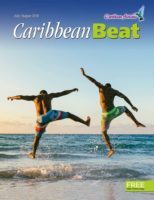 But it does seem possible to have a very good life here without many of the social ills that plague the rest of the Caribbean. There are signs of state control — this is still Communism — but Cubans seem happy. Many content with their lot. Caribbean people, definitely. The tour guides tell us we are the largest group they have ever had, but we are also the easiest. Of course, we chime. We’re from Trinidad and Tobago. 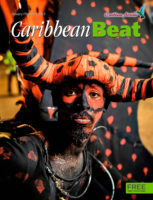 We are Caribbean too! Repeatedly, they tell us how similar we are to the Cubans. 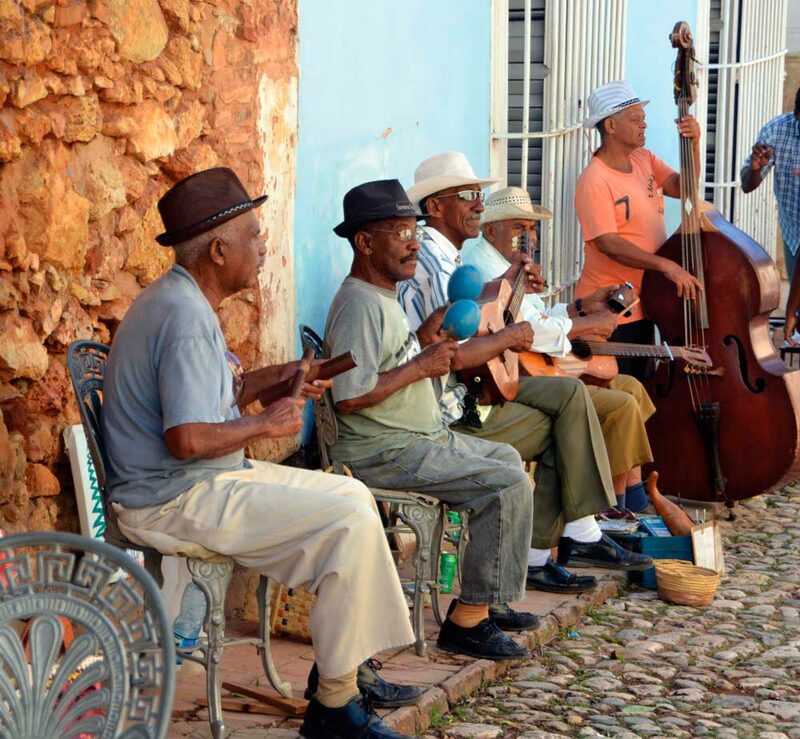 And we are: it’s apparent in our mix, our sense of humour, our dancing — although, truth be told, we can’t hold a candle to the Cubans on the dancefloor — and in our shared history. It is this I take away with me. Inspired to plan your own visit? Sharon Millar offers some practical advice. Money: Cuba has a double currency. Tourists generally use the CUC (pronounced “kook”) or convertible peso, which has the same value as a US dollar. The other currency is the one used by Cuban nationals, and is called the CUP, pronounced “koop.” As a foreigner travelling to Cuba, you will always be given CUCs and everything will be priced in CUCs. Walk with Canadian currency, as there is a charge applied to converting US currency. American credit cards are not accepted in Cuba. Immigration: You must have a Cuba Tourist Card to enter the country. This is usually available from the airline or from your travel agent. Health: You must also have health insurance (even if only for the duration of your stay) to enter Cuba, and you may be asked to show it upon arrival. Do not drink the tap water! 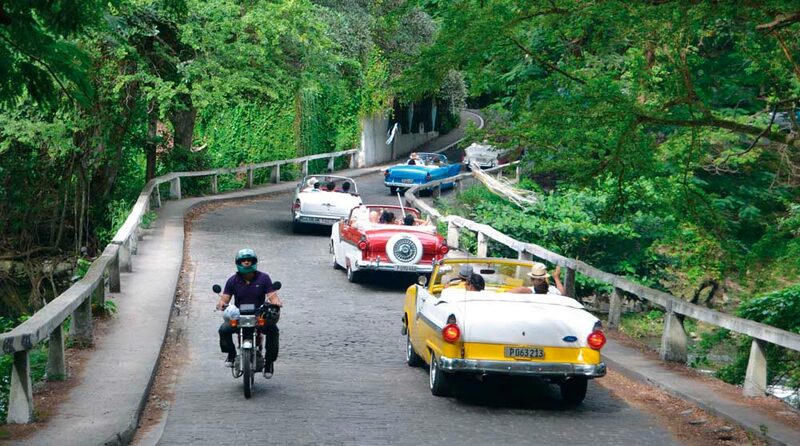 Getting around: A local tour company is usually the best way to go when exploring Cuba for the first time. We used a company called Locally Sourced Cuba and found them to be excellent. Accommodation: There are many excellent casas particulares all over Cuba. They are a good alternative to pricey hotels. Prices can start as low as 30 CUC per night, inclusive of breakfast. Keeping in touch: Wi-fi is available in public parks and it is possible to purchase an hour of wi-fi time for approximately 2 CUC. However, it can be slow and prone to crashing. Expect to be off the grid for long periods. Crowds: Do not think you will be the only visitor. The only people not visiting Cuba are the Americans. Over three million tourists visited Cuba last year. December to May can be uncomfortably crowded in key areas such as Havana and Trinidad.